Celebration Anaheim 2015 is looking like a goldmine for awesome Star Wars toys. Companies are offering a lot of exclusives as usual and of course Funko is at the forefront. Among Funko’s offerings are these figures. Boba Fett and Shadowtrooper Super Shogun figures. Oh yeah! These massive 24″ tall figures are pretty awesome. 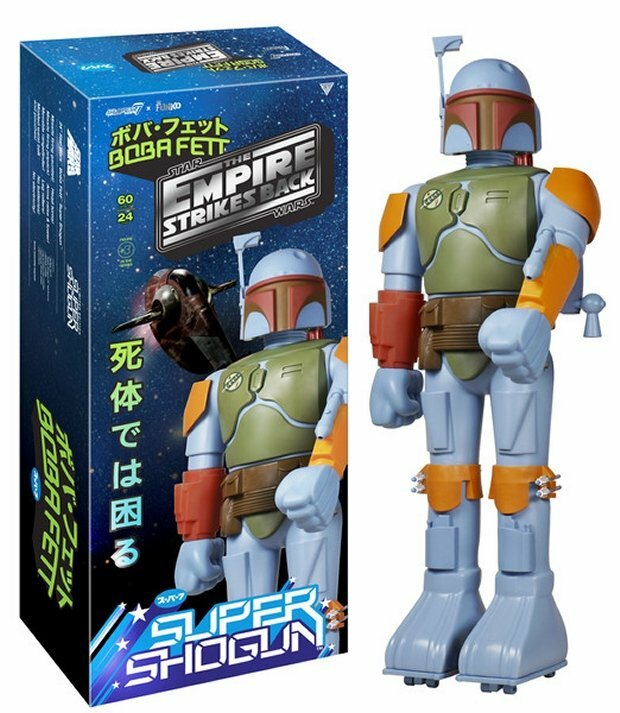 Super Shogun Boba Fett had wheeled feet and a wrist and jetpack launcher. 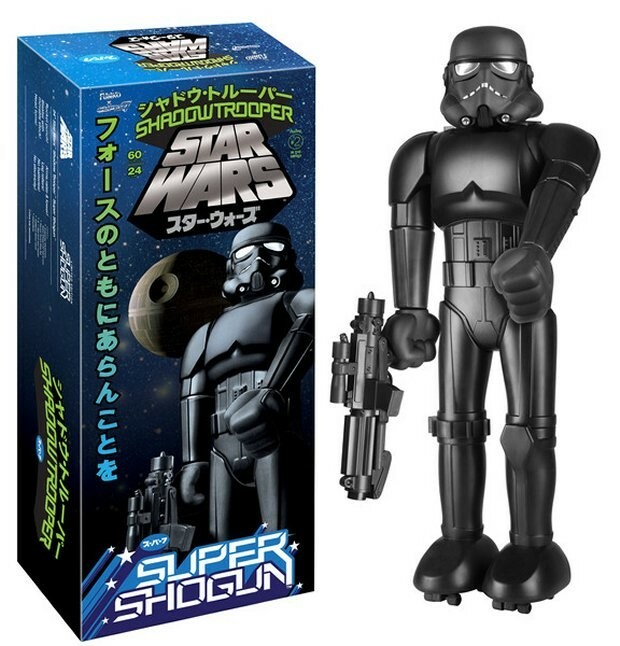 The Super Shogun Shadowtrooper has a built in left fist launcher and wheeled feet. Anytime Boba Fett looks like a vintage toy, I’m all over it. The Shadowtrooper is pretty cool too.